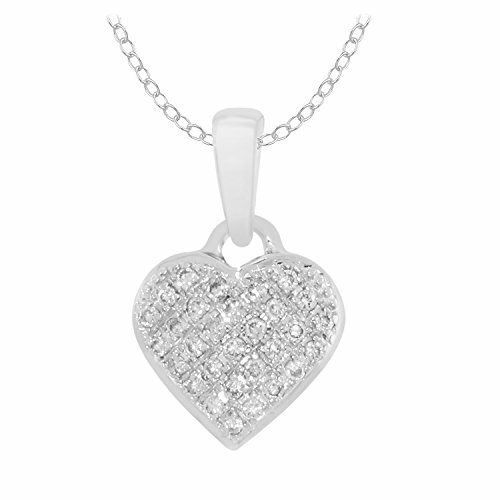 Edgy, yet elegant, this heart diamond pendant is great for all occasions. This heart shaped necklace is crafted in 10k white gold, with Pave-set diamonds and a classic 18" cable chain with IJ Color and I2-I3 Clarity. Good gift Idea for Girls and Women. Good collection for any Occassions. If you have any questions about this product by EternalDia, contact us by completing and submitting the form below. If you are looking for a specif part number, please include it with your message.